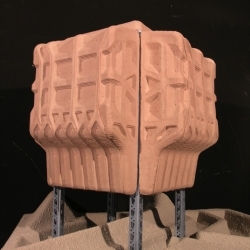 '"WRONGWRITEORWRONG'' THE GADGET' by graffiti artist Daniel Tagno. 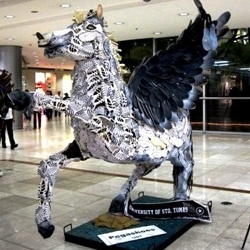 Artworks made out of old and worn out shoes. 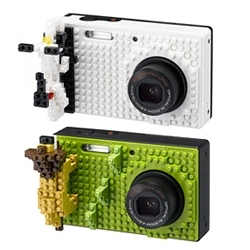 This is one entry that was remarkable, the title suit very much "PEGASHOES"
Pentax Optio cameras x Nanoblock. 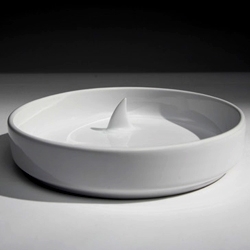 'A shark in my soup' porcelain soup bowl by Apostolos Porsanidis for Industreal. 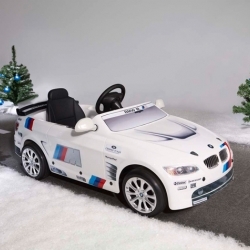 For next winter BMW comes up with this big toy for kids from 3 to 5 years. The scaled down model of the BMW M3 GT2 is available as pedal car or with a small e-engine. 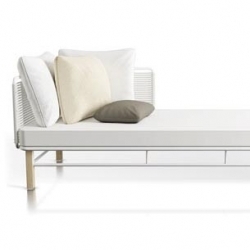 The new Pircher Evergreen outdoor collection *almost* makes me wish summer wasn't ending. 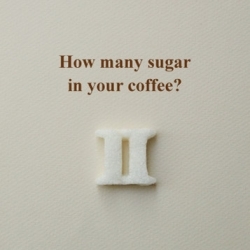 sugar cubes at the shape of Roman numbers, each sugar cubes consist one, two or three sugar spoons. 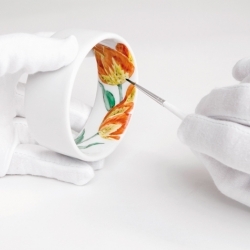 IM is a series of porcelain bracelets that are handpainted on the inside. Every motif is limited to 3 pieces only. 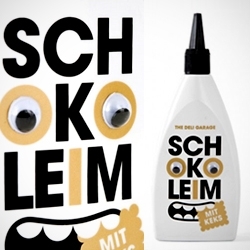 Great idea by german designer Christian Metzner. 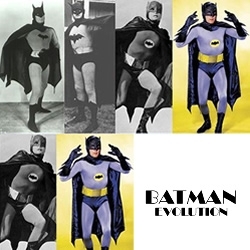 Since the debut of Batman on screen in 1943, the Caped Crusader has gone through transformation after transformation, costume change after costume change, some more subtle than others. 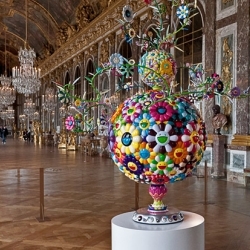 Takashi Murakami Exhibition at the Château de Versailles as photographed awesomely by Flickrer, ganymede2009. 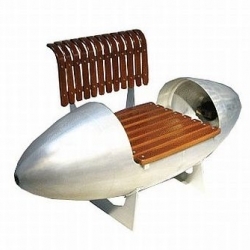 The Tip Tank chair by Japanese designer Yoshi Yasuda is an inimitable piece made from original aircraft wingtip tanks. 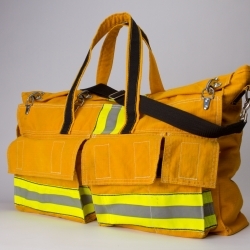 A duffel bag made from a firefighter's retired turnout jacket is a very cool reuse of materials. With services and amenities – bars, lounges, restaurants etc. 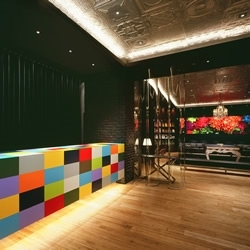 – matching those of a five star hotel, Tokyo's The Soho is an office complex you may never want to leave. We can’t quite work out whether that’s a good thing or not. 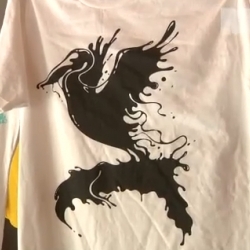 Nice short documentary on the inner workings of Threadless. 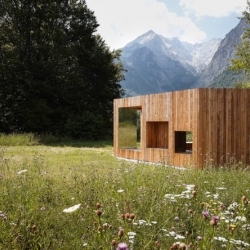 Inspired by the 18th century English garden "follies", German Architects Baumhauer have completed FOLIE, a romantic and abstract wooden shelter. 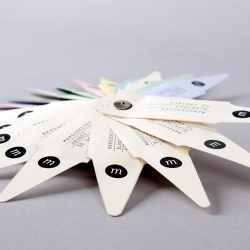 Maude Bussière designed a nice way to pack seeds in a small envelop that becomes a label for the ground seedling identification. 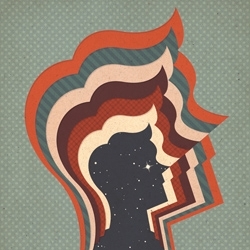 Brand new print of an illustration called 'Starman', by Zara Picken. 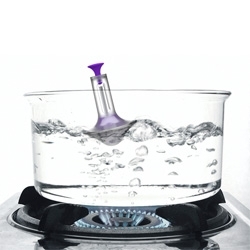 'Boil Buoy' from Quirky. 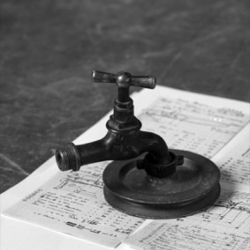 "Just place Boil Buoy in your pot of water, turn up the heat, and wait for the ringing chime to let you know your water's ready to go." 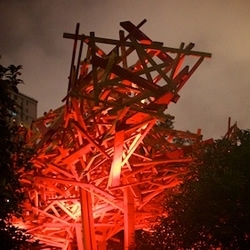 Belgian artist Arne Quinze’s Red Beacon in Shanghai is typically unrestrained, with 55 tonnes of wooden planking, seemingly slung in fury at a canopy structure. 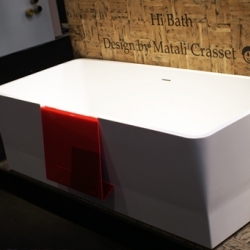 Aquamass - the celebrated manufacturer of portable spas - presented a new line at Maison & Objet 2010, signed by Xavier Lust, Matali Crasset, and Alain Berteau. 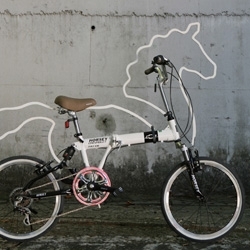 Eungi Kim's 'Horsey' is an attachable bicycle ornament/accessory which makes one's bicycle look like a horse. Shortlisted for the 'Seoul Cycle Design' competition. 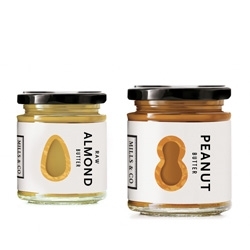 Danielle Davis's clever and simple packaging of Nut Butters for Mills & Co.
Anish Kapoor's "Turning the World Upside Down" at the Kensington Gardens from September 28th, 2010 to March 13th, 2011. 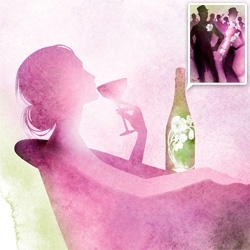 Beautiful artwork by french illustrator Alice Dufay. 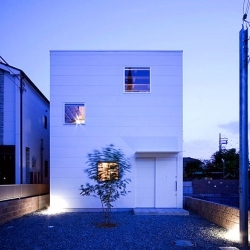 This house in the Osaka Prefecture Sakai City of Japan was built as a single family residence for three by Coo Planning. It is located in a quiet residential neighborhood near the old Hamadera Suwanomori tram station. CitizenM Hotel, Glasgow, has factory-built modular rooms keeping construction costs low, but uses award-winning design and a lobby chock full of iconic Vitra furniture. Not your typical budget hotel. 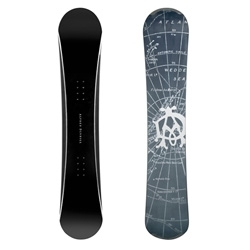 Elegant snowboards from Dunhill with Diamond Disk polished edges, a fiberglass laminate and poplar wood core. 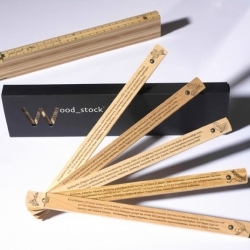 Wood stock is a measuring tool that teachs to recognize some different woods. 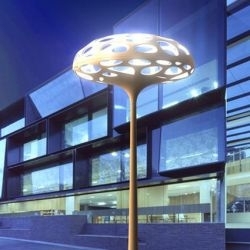 This outdoor light, “Voronoi Lamp”, seems to bring some natural elements to contemporary urban landscape. 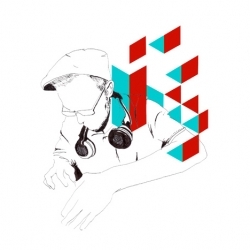 Caracterized by the cramped jungle of concrete build in a haphazard manner. From Andre Coelho. 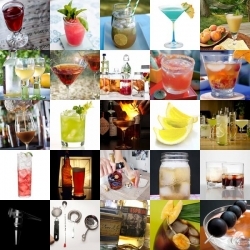 FEATUREDQuench your thirst with this luscious roundup from Liqurious. 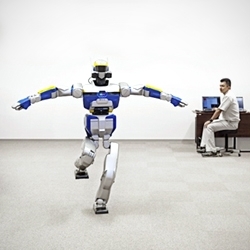 Vincent Fournier's 'Man Machine' film and stills feature some of the latest robot technology interacting with humans and the built environment. 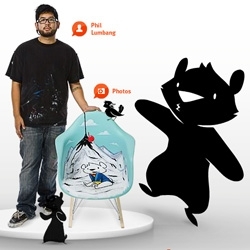 The 'Design for You' project by HermanMiller started today working with 5 artists to create 5 custom painted Eames Rocker chairs, each chair can be won by entering online at HermanMiller. Be beautiful to the tips of your nails with Minx finally landing in France! 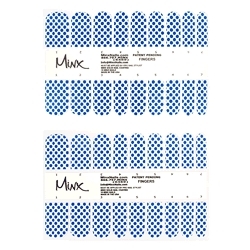 Exclusively at colette in September, the MINX Nail Bar in the Beauty Box will feature more than 140 different designs. Citrus is a large pendant lamp capable of illuminating large areas. The light fixture is sleek visually attractive. 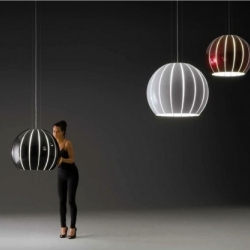 Designed by Oscar & Sergi Devesa and produced by Vibia. 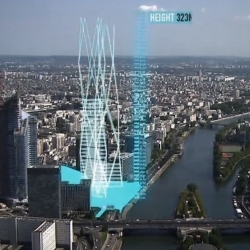 VIDEOA short film by Uniform for Foster + Partners' Hermitage Plaza scheme in La Defence, Paris. VIDEOWelcome to the BIG mosquito party video! 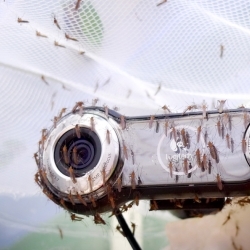 Fascinating Mosquito farm popped up in an outdoors store to test mosquito resistant gear... and they gave a 1% discount for each bite people received inside. 'Schokoleim' by the Deli Garage. 200 ml hazelnut praline with extra high cocoa content. "Chocolate Glue is made to traditional, hand made methods using selected cocoa beans and nothing but the best hazelnut oil". 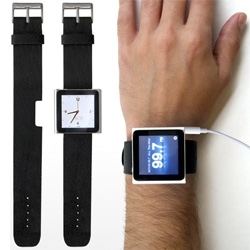 Rock Band turns your iPod nano into a wristwatch. The genuine leather strap has a notch cut out for the iPod nano's built in clip. 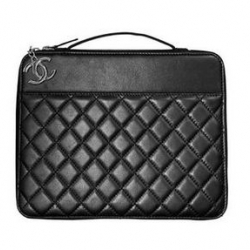 Chanel is joining the growing list of designers to release iPad cases. 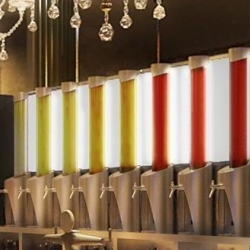 'Biero' bar in Melbourne developed 'Beervault' technology to extract beer out of bottles into an in-built reservoir which maintains the freshness of beer and allows the bar to dispense its boutique beer into 110 ml sampling glasses. 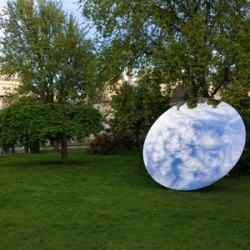 'Ocean of Light : Surface'. 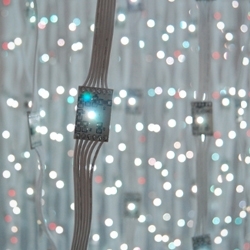 A project led by Squidsoup, uses bespoke hardware to create dynamic, interactive and three-dimensional sculptures from light. 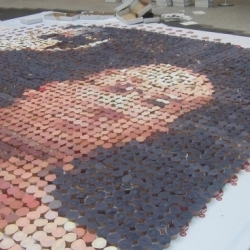 From Los Angeles to the Venice Biennale. The Casa Pulpa by Hodgetts + Fung, a sci-fi house of recycled waste. 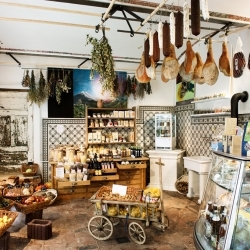 Tongues is located at Theobaldgasse 16 in Vienna and must be one of the coolest music and delicatessens I've ever seen. Interior design by Peter Fehringer and his wife Gabriele (who run the del) with Christopher Schweiger (who runs the music section). 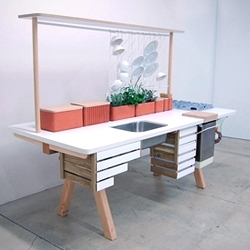 'Flow2' concept kitchen by Studio Gorm. 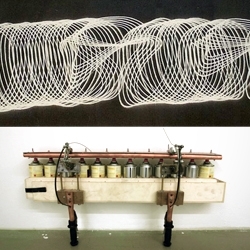 "Flow is a living kitchen where nature and technology are integrated in a symbiotic relationship."